Another day, another awards show. Let’s dive right in and take a look at the lovely ensembles that graced the red carpet at the Critics’ Choice Awards last night. AP. Alicia Vikander in Mary Katrantzou. 2016. Web. 18 Jan. 2016. http://www.harpersbazaar.com/celebrity/red-carpet-dresses/g6732/the-best-dressed-at-the-critics-choice-awards/?slide=3. Merritt, Jason. America Ferrera. 2016. Web. 18 Jan. 2016. http://www.buzzfeed.com/whitneyjefferson/style-on-the-2016-critics-choice-awards-red-carpet#.moMOraJQ17. Merritt, Jason. Aya Cash in Sandro. 2016. Web. 18 Jan. 2016. http://www.harpersbazaar.com/celebrity/red-carpet-dresses/g6732/the-best-dressed-at-the-critics-choice-awards/?slide=9. Merritt, Jason. Bryce Dallas Howard in Balmain. 2016. Web. 18 Jan. 2016. http://www.buzzfeed.com/whitneyjefferson/style-on-the-2016-critics-choice-awards-red-carpet#.moMOraJQ17. Merritt, Jason. Carrie Brownstein. 2016. Web. 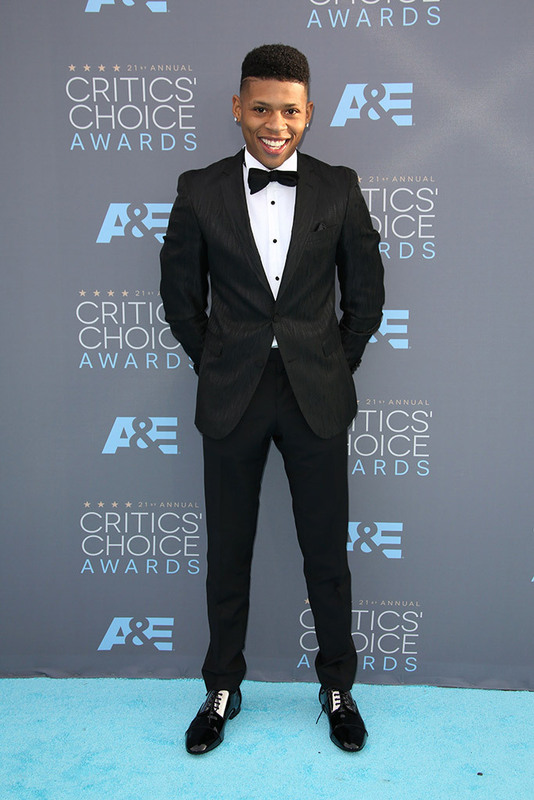 18 Jan. 2016. http://www.buzzfeed.com/whitneyjefferson/style-on-the-2016-critics-choice-awards-red-carpet#.oo5nEzZLmK. Merritt, Jason. Constance Wu. 2016. Web. 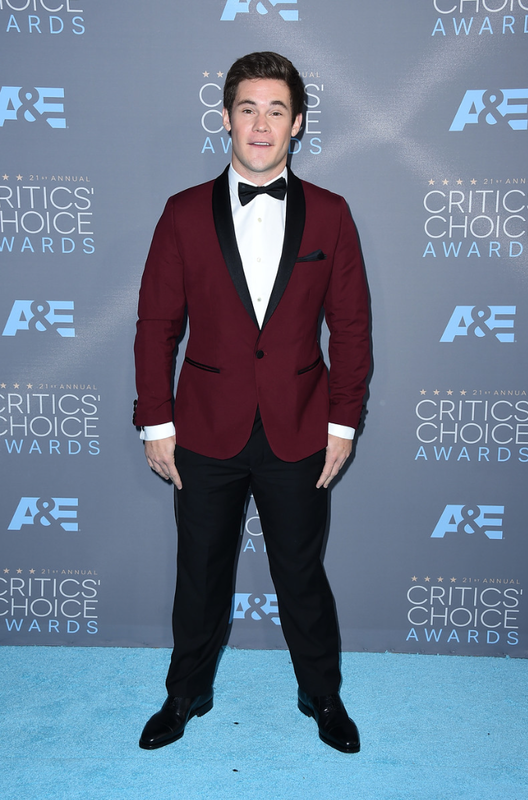 18 Jan. 2016. http://photos.dailynews.com/2016/01/photos-2016-critics-choice-awards-red-carpet-arrivals/#79. Merritt, Jason. Constance Zimmer in Tracy Reese. 2016. Web. 18 Jan. 2016. http://www.usmagazine.com/celebrity-style/pictures/critics-choice-awards-2016-red-carpet-see-the-stars-w161883/constance-zimmer-w161885. Strauss, Jordan. Courtney Eaton. Web. 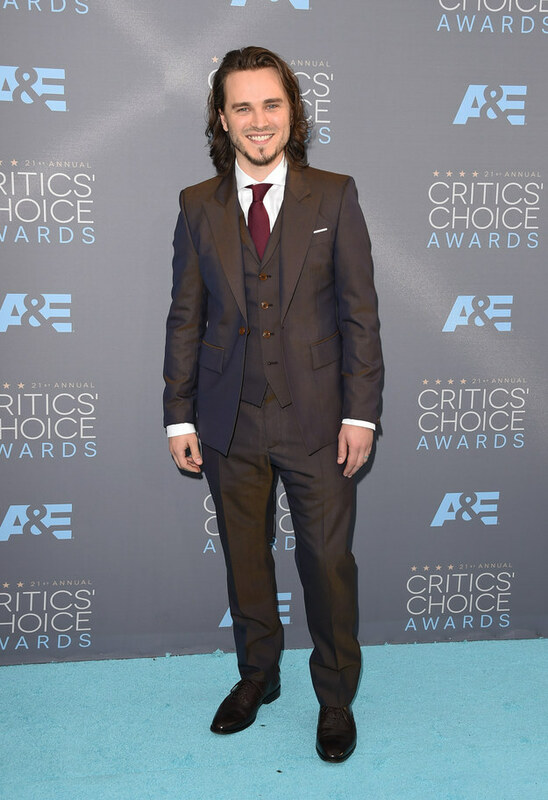 18 Jan. 2016. http://photos.dailynews.com/2016/01/photos-2016-critics-choice-awards-red-carpet-arrivals/#41. Merritt, Jason. Emmy Rossum in Dior. 2016. Web. 18 Jan. 2016. http://www.usmagazine.com/celebrity-style/pictures/critics-choice-awards-2016-red-carpet-see-the-stars-w161883/emmy-rossum-w161905. Merritt, Jason. Gina Rodriguez in Safiyaa. 2016. Web. 18 Jan. 2016. http://www.usmagazine.com/celebrity-style/pictures/critics-choice-awards-2016-red-carpet-see-the-stars-w161883/gina-rodriguez-w161891. Merritt, Jason. Helen Mirren in Dolce & Gabbana. 2016. Web. 18 Jan. 2016. http://www.harpersbazaar.com/celebrity/red-carpet-dresses/g6732/the-best-dressed-at-the-critics-choice-awards/?slide=23. Merritt, Jason. Jennifer Jason Leigh. 2016. Web. 18 Jan. 2016. http://www.buzzfeed.com/whitneyjefferson/style-on-the-2016-critics-choice-awards-red-carpet#.moMOraJQ17. AP. Kate Beckinsale in Monique Lhuillier. 2016. Web. 18 Jan. 2016. http://www.harpersbazaar.com/celebrity/red-carpet-dresses/g6732/the-best-dressed-at-the-critics-choice-awards/?slide=11. Merritt, Jason. Kirsten Dunst in Chanel Couture. 2016. Web. 18 Jan. 2016. http://www.harpersbazaar.com/celebrity/red-carpet-dresses/g6732/the-best-dressed-at-the-critics-choice-awards/?slide=21. Merritt, Jason. Krysten Ritter in Zuhair Murad. 2016. Web. 18 Jan. 2016. http://www.harpersbazaar.com/celebrity/red-carpet-dresses/g6732/the-best-dressed-at-the-critics-choice-awards/?slide=25. Merritt, Jason. Leslie Mann in Monique Lhuillier. 2016. Web. 18 Jan. 2016. http://www.usmagazine.com/celebrity-style/pictures/critics-choice-awards-2016-red-carpet-see-the-stars-w161883/leslie-mann-w161892. Merritt, Jason. Liz Hernandez. 2016. Web. 18 Jan. 2016. http://www.nydailynews.com/entertainment/critics-choice-movie-awards-2016-best-worst-red-carpet-gallery-1.2499821?pmSlide=1.2499819. Merritt, Jason. Marisa Tomei in Zuhair Murad. 2016. Web. 18 Jan. 2016. http://www.harpersbazaar.com/celebrity/red-carpet-dresses/g6732/the-best-dressed-at-the-critics-choice-awards/?slide=28. Mazur, Kevin. Rachel McAdams in Elie Saab Couture. 2016. Web. 18 Jan. 2016. http://www.usmagazine.com/celebrity-style/pictures/critics-choice-awards-2016-red-carpet-see-the-stars-w161883/rachel-mcadams-w161906. Fun Fact: Rachel’s sister Kayleen did her makeup. Merritt, Jason. Saoirse Ronan in Antonio Berardi. 2016. Web. 18 Jan. 2016. http://www.usmagazine.com/celebrity-style/pictures/critics-choice-awards-2016-red-carpet-see-the-stars-w161883/saoirse-ronan-w161908. I made real progress this time around. I am featuring not one, not two, not three, not four, but FIVE male fashion looks from the red carpet. Enjoy! Strauss, Jordan. Adam Devine. 2016. Web. 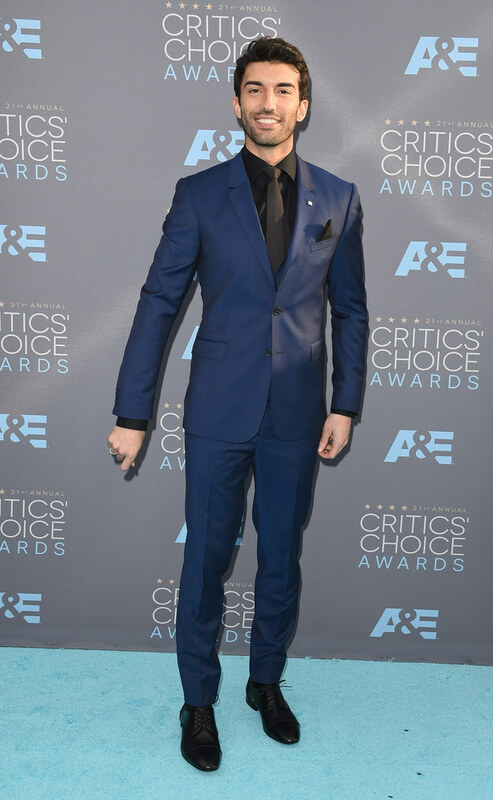 18 Jan. 2016. http://photos.dailynews.com/2016/01/photos-2016-critics-choice-awards-red-carpet-arrivals/#34. REX. Bryshere Gray. 2016. Web. 18 Jan. 2016. http://footwearnews.com/2016/fashion/celebrity-style/critics-choice-awards-2016-red-carpet-shoes-184959/. Granitz, Steve. Aziz Ansari. 2016. Web. 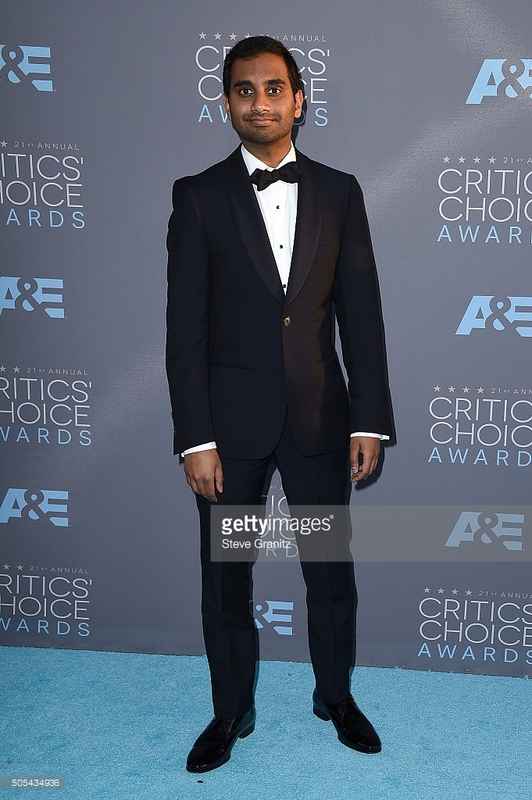 18 Jan. 2016. http://www.gettyimages.com/detail/news-photo/actor-aziz-ansari-attends-the-21st-annual-critics-choice-news-photo/505434936. Merritt, Jason. Jonathan Jackson. 2016. Web. 18 Jan. 2016. http://www.buzzfeed.com/whitneyjefferson/style-on-the-2016-critics-choice-awards-red-carpet#.moMOraJQ17. Merritt, Jason. Justin Baldoni. 2016. Web. 18 Jan. 2016. http://www.buzzfeed.com/whitneyjefferson/style-on-the-2016-critics-choice-awards-red-carpet#.moMOraJQ17. And my pick for “Best Dressed” is… Rachel McAdams!! Her makeup was stunning. The hairstyle complemented the dress, and the dress color complemented her blonde hair. The lack of accessories kept the look simple and allowed the sequined dress to have the spotlight.